Over the past few months, you may have heard through the grapevine that The Berrics is on the cusp of a major deal. We’re delighted to confirm that, as of this week, we have officially partnered with Hypebeast. When it comes to content curation, Hypebeast is one of the best in the business. The company has built an amazing site over the years that seamlessly weaves together various cultural elements, skateboarding included. With that said, we can’t think of a better media company to partner with. As we continue to celebrate our ten-year anniversary, we have our sights firmly set on where we want to go during the next ten. With Hypebeast’s resources combined with our knowledge of and dedication to skateboarding, we are very excited to continue to evolve our platform and celebrate all aspects of skate culture. 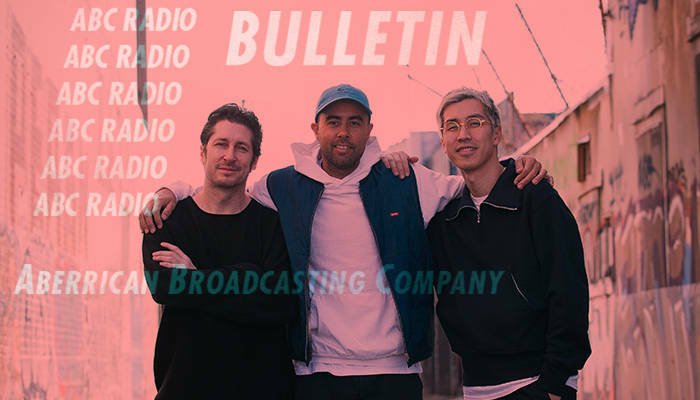 We’re sure you have questions about what to expect from us in the future, so we got Steve Berra to shed some light on it. How did the partnership with Hypebeast come about, and what is it about the company that made you decide it was the right fit? It came about through my friend Aaron Levant who is the founder of the Agenda Tradeshow. He had worked with Hypebeast many times and we’ve known the Hypebeast guys for a while. But he definitely had a much better relationship with them. He knew that we were looking for a partner that could really take what we were doing operationally to another level. Hypebeast is such an incredibly well-built company. Operations and sales and, most of all, their taste and class, is what really drew us to them; no one else could compare to the level of class they have. They’re just very good at what they do and the parallels in the business are many and, honestly, they really get The Berrics. So it’s a perfect fit. Explain any differences between the newly-formed The Berrics Company and The Berrics. There isn’t much actually, just the ownership structure. We are partners now. We have a team of insanely intelligent people onboard to help guide us through experiences they’ve had so that we can continue to get better and better at what we do, and avoid any pitfalls to continuing to grow our business. Will your and Eric’s roles be changing at all in the wake of this new partnership? Yes and no. Yes in that I won’t have to look at every single detail of the business the way I had been. Credit card statements, negotiating leases, talking to the insurance guy, dealing with how much printing costs, going over taxes exhaustively, etc., etc. There is a lot of time spent on running a business that has nothing to do with any sort of creativity, and mine and Eric’s time is best spent not doing those things. We are two guys who’ve spent the vast majority of our lives skateboarding. Transworld has been owned by massive corporations for nearly two decades that have dozens of people in place to do these tasks, and Thrasher has been around for 40 years establishing its infrastructure. We are ten years old and have been doing this ourselves while still trying to skate, while still trying to be good parents, while still trying to do all the other things that we do in life. It’s a lot to take on. We knew it was time to get some smart people onboard that really know how to do this. Obviously, we will be aware of everything that goes on, but doing the things we were doing won’t be our primary function anymore; creativity will be. I think a lot of people don’t realize that we were handling all of that stuff. It’s a lot! How will Hypebeast and The Berrics be working together now that they are sister sites? Our main focus is to grow skateboarding. Teaming up to do really culturally relevant events and projects together that reach a bigger audience and grow not only skateboarding as a whole but all the names within it. We want to see everyone in the world grow up with a skateboard under their feet the same way they have a basketball or a baseball in their hands. Will we be seeing new and different content than what we are used to on The Berrics moving forward? I think you’re going to see even better content! Things we had previously dreamed of doing will become a reality: ideas we’ve been sitting on but haven’t been able to do; people we’ve been wanting to work with but haven’t had the chance to or time to yet. Those are the things we’re going to focus on. Now that this partnership is official, what are your plans for The Berrics this year? There is a very real law that exists in this universe: sometimes you have to pull back to move forward. In 2017, we pulled back quite a bit to restructure everything we are doing from a business perspective and from a content perspective and because the media landscape has been changing. This year, with our new partner, is all about taking the projects we’ve been working on and bringing them to fruition. You’re going to see a series of moves, one after another, this whole year. Things that we’ve been planning for over a year. It’s very exciting! At ten, The Berrics seems to be entering a new chapter. Where do you envision it going in another ten years?